The German system of fortune telling, which dates back over 100 years, has been given a vibrant new look with artwork by Urban Trösch, using an elaborate technique. Trösch painted the pictures on small wooden plates that were primed with chalk. This was followed by the multi-layered application of egg tempura colors. The result is a work of art with great luminous power. 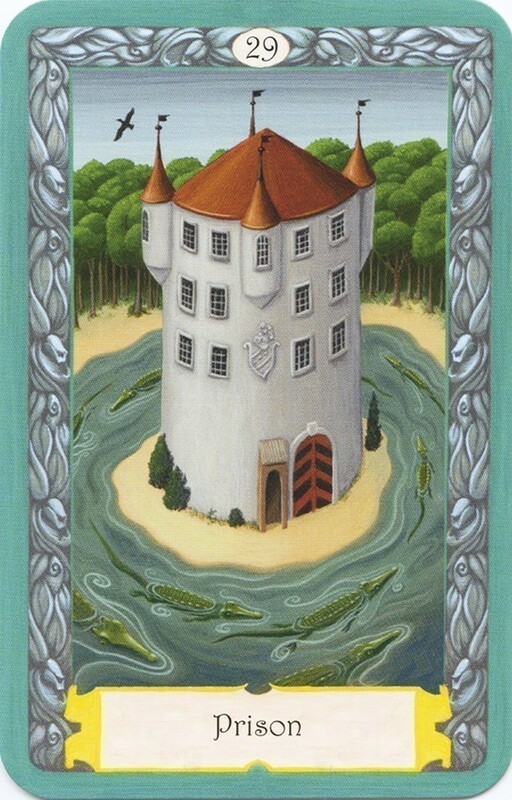 What distinguishes the 36-card Kipper deck from Lenormand decks is the preponderance of cards depicting people. 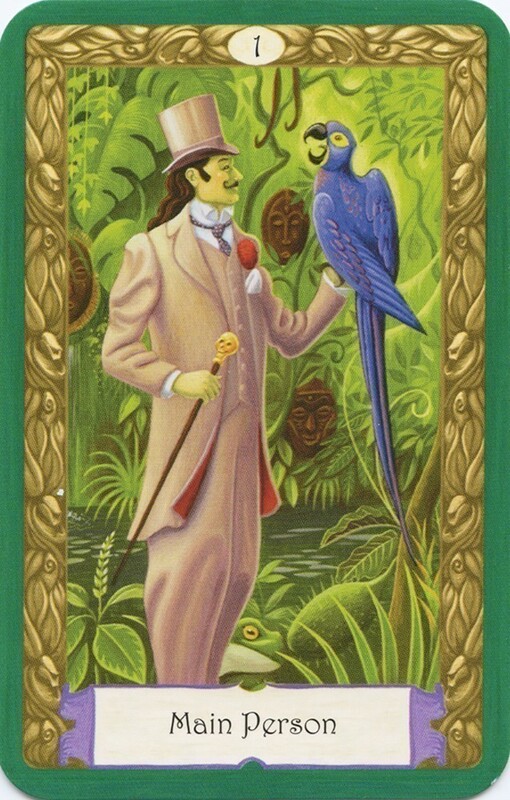 When the cards are laid out, we see many faces looking back at us, making this an ideal deck for questions concerning personal relationships. Key words on the cards and an informative 52-page booklet make the Mystical Kipper method easy to learn. 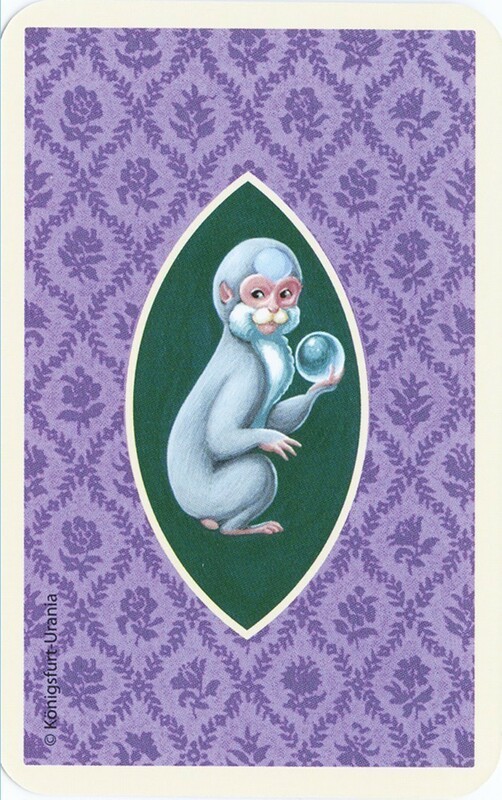 Cards measure 2.625" x 3.5"
The Mystical Kipper is a very elegant deck of 36 fortune-telling cards, created by Regula Elizabeth Fiechter and the artist, Urban Trösch. the artist Urban Trösch has created smooth, restful and delightful illustrations. The original designation of the card titles have been retained in this numbered deck, which can be best used for questions that relate to personal relationships. 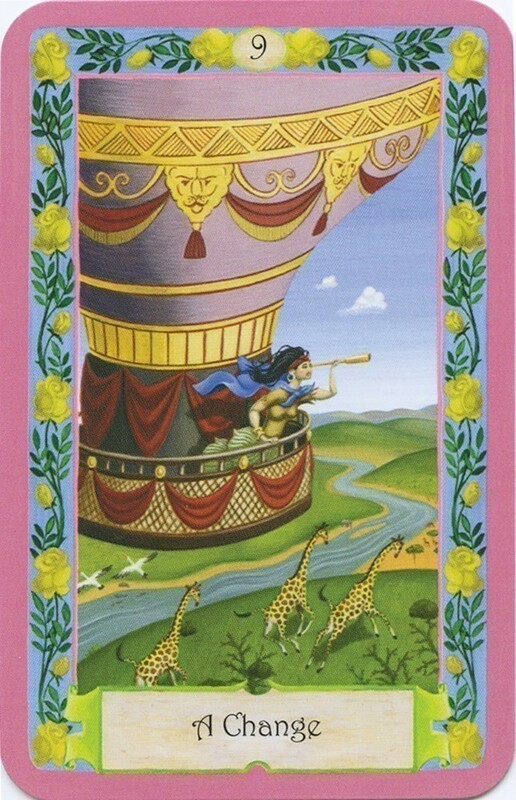 The use of one’s own intuition is needed to get the best from the reading. 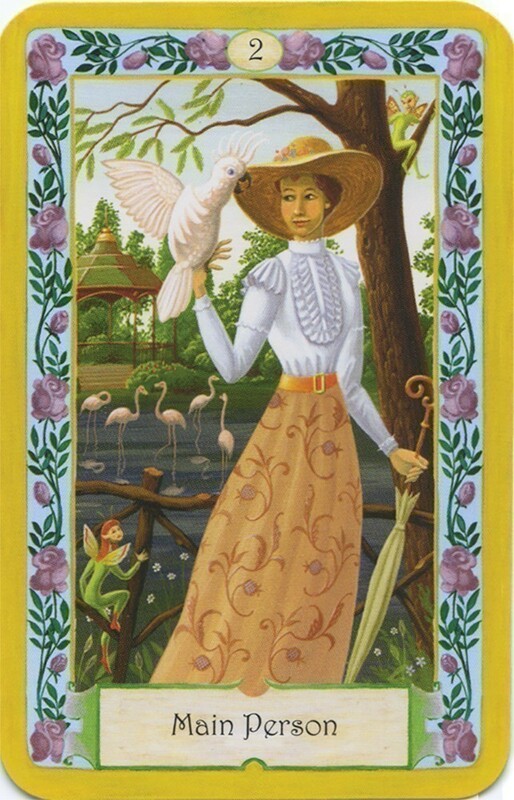 The cards, however, do not depict all sweetness and light! 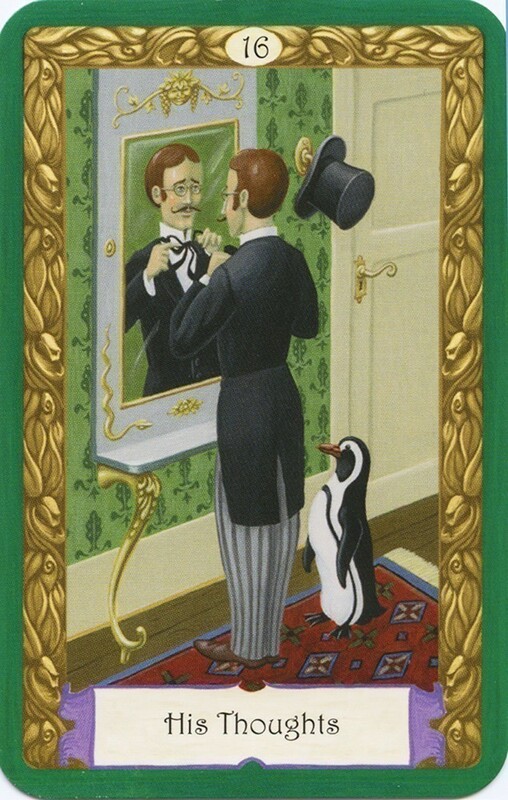 Some cards highlight the more difficult aspects of life which are ever present for the unsuspecting. There are false persons, unhappiness, prison, bereavement, and other dangers. All 36 cards can be laid in an ‘All Cards’ spread, nine cards in four rows and the cards are read horizontally, diagonally and vertically. 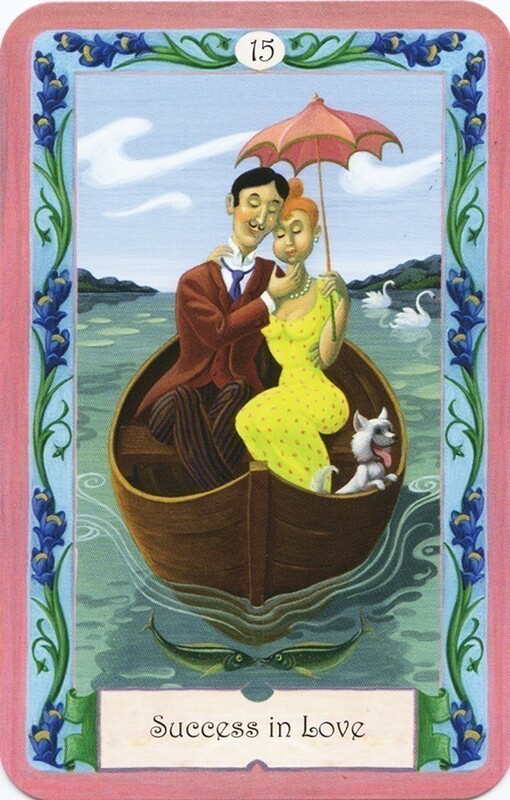 This is a delightful deck, as is its companion, the Mystical Lenormand, by the same creators, Fiechter and Trösch. 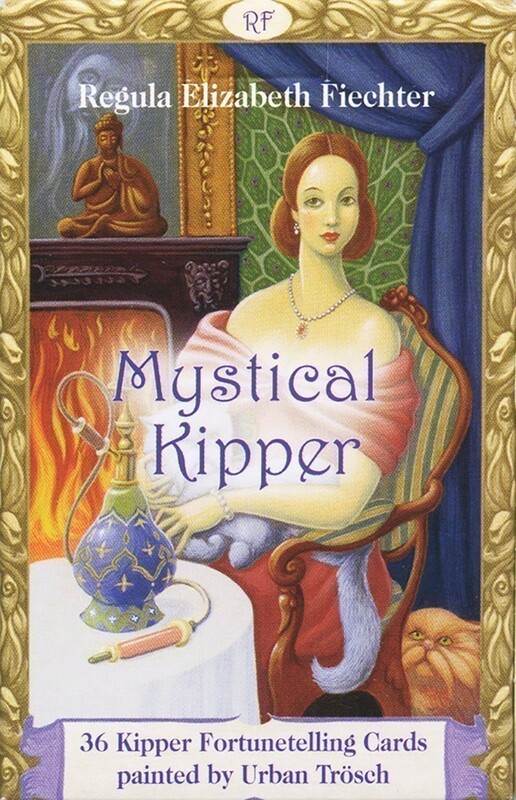 I like to use the Mystical Kipper cards alongside the Kipper Cards to create a 72-card combined deck. There is sufficient information in the little white booklet in the deck pack to get the beginner started.